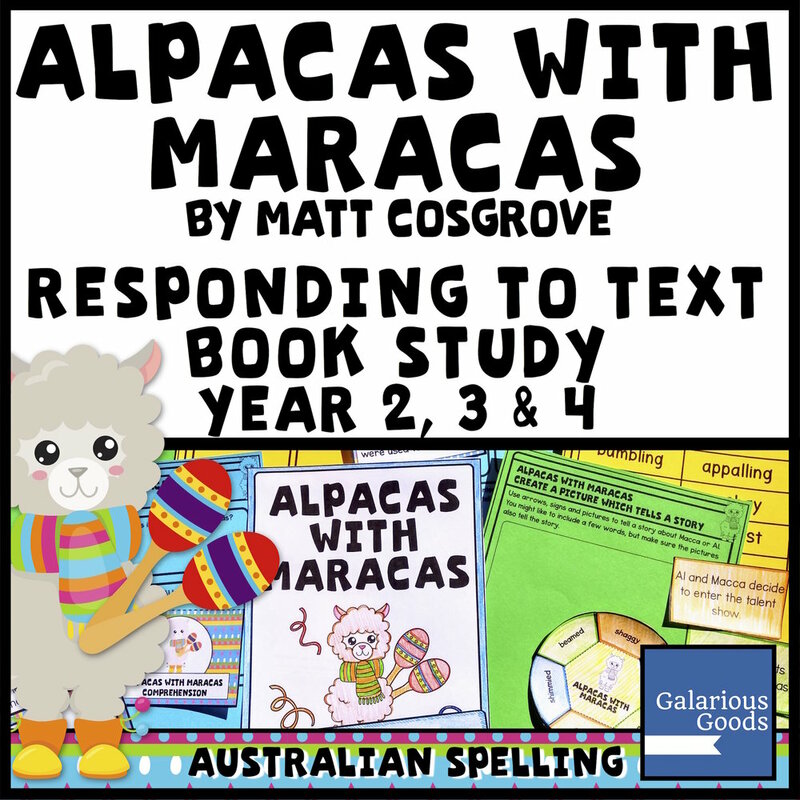 Alpacas with Maracas by Matt Cosgrove is a book packed with great language and enticing pictures - making it perfect to read to an audience. 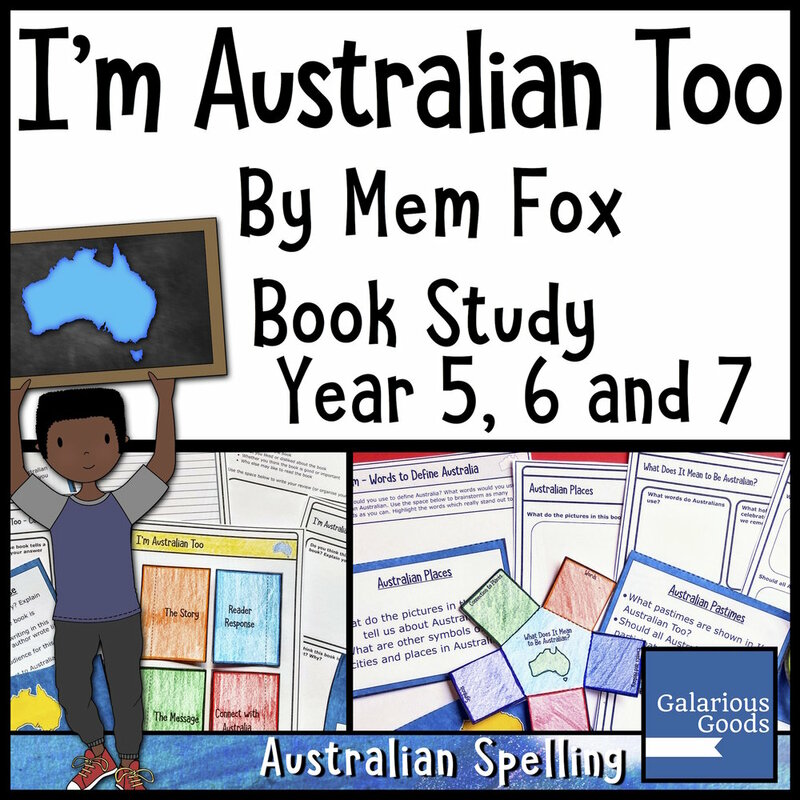 It’s no surprise that it was chosen as the 2019 National Simultaneous Storytime book, and it’s sure to be a classroom read aloud staple for years to come. But what else can you do with this great book? And what can you do if you’ve only got limited time and resources to explore it? Here’s three easy ways to explore Alpacas with Maracas when it’s your classroom read aloud book. The whole book Alpacas with Maracas is an invitation to get up and dance. While maracas are perfect for this, any shaking percussion tool - from bells to shakers to dried beans in containers - will also allow students to explore the patterns in movement and rhythm. Students can start with a good old fashioned dance party. Once you’ve read the book, you can invite the students to move like Macca and Al, shaking their musical instruments and getting their groove and move on. You can follow this up with talking about how dancing makes you feel and why people might dance. Students can also explore shaking to a beat. You can clap out a rhythm for students to follow, explore 4/4 time, explore what happens if you skip a beat or play with different groups of students playing at different times in different parts of the room. Your school music teacher may be able to help you come up with some interesting patterns to explore as well! Finally students can explore making dance patterns by moving their maracas in different ways. Students can move their maracas (or shakers or bells) up and down, diagonally, to the left and right and in front of them. How can they use these directions to make up a dance routine? And how could they write it down or draw it for other students to follow? Alpacas with Maracas is FILLED with wonderful words including some lovely verbs. Students can find the verbs throughout the text, using them to create a poster of great words. They can also act out the verbs that they find, working in small groups to share them. Another way to explore verbs is to look for synonyms for some of the verbs in the book. Students might like to start with an easy verb like dance and see if they can brainstorm as many synonyms as possible. You can display these brainstorms in the classroom for students to refer back to in the future. 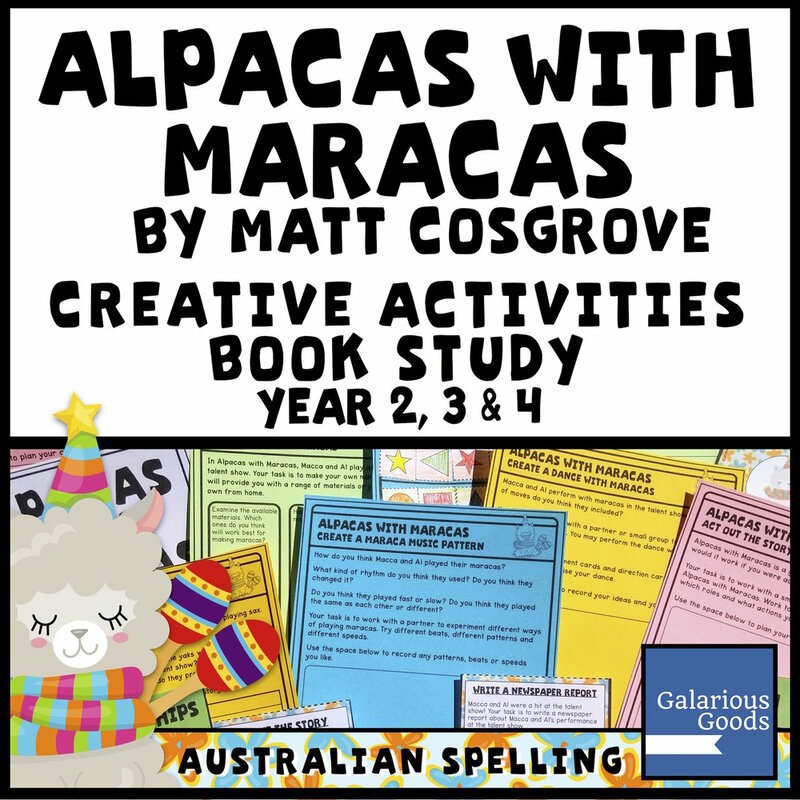 Students can also use the lovely language of Alpacas with Maracas to create their own stories. It might be a continuation of the story of Al and Macca or their own creation. There’s some lovely character lessons in Alpacas with Maracas, perfect little ideas for students to reflect and build on. Al and Macca are great friends - they work together, they complement each other and they look for ways to find happiness together. This is a wonderful lesson for students to reflect on, thinking about what makes a good friend and what good friendships look like. Macca and Al are also persistent They try so many different talents when they’re looking for the right talent for the show. Even when they fail - and they fail quite spectacularly - they get back up to try again. This can lead to a wonderful discussion about persistence and what it can look like when we’re persistent at something which is difficult. We can also talk about trying different approaches to reach a goal - Macca and Al have a goal of being in a talent show, but they need to try different approaches to make it in there. Macca and Al are also great losers in Alpacas with Maracas. They are the perfect representatives of ‘it doesn’t matter if you lose as long as you give it a try’. Students can discuss what it feels like to lose at something and what a good loser looks like. They might even like to role play some ways to be a good loser. Are you looking to explore character lessons with your students? This free download includes three character ideas your students can write or draw about. Alpacas with Maracas is a wonderful celebration of movement, music and having fun. It’s a great book to bring into your classroom and well and truly worth exploring a little more. Looking for the Macca books for your classroom? Find them at Booktopia here! 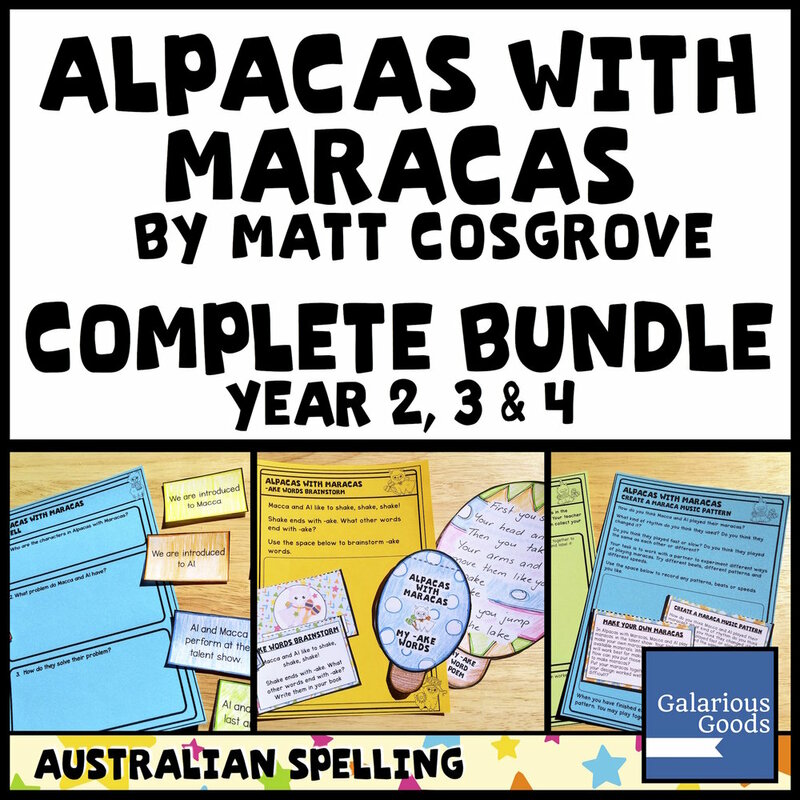 Don’t forget to check out the Galarious Goods Alpacas with Maracas resources - perfect for National Simultaneous Storytime! Australia is well known for its wild range of weather - the drought and flooding rains. Already in 2019 the country has experienced floods, fires, an ongoing drought and the threat of a cyclone. One way to explore this weather in the classroom is through a range of picture books which highlight different weather conditions - using these picture books to help us to get a deeper understanding of this weather and its impact on Australians. These are probably the best known picture books about extreme weather in Australia. Starting with Flood - a story of the 2011 Queensland Floods - these creators have built a powerful collection of text and illustrations which bring the events and the impacts of natural disasters in Australia to life. Although these books are part of a series, there are little individual differences which are interesting to discuss as students compare and contrast the books. Two of the books are very clearly linked to specific events - the 2011 Queensland Floods in Flood and Cyclone Tracy (which hit Darwin in 1974) in Cyclone. Fire and Drought are more general - a look at natural events which can impact large areas of the country year after year. One of the ‘must-do’ activities with these books is to explore the author and illustrator notes to look at the intentions of the creators as they come into the work. For both of the creators, there are personal elements or feelings to these creations and they have strived to create their work to show not just the events and impact of the disaster - but the way people come together to help and rebuild during and after the disaster. Another great way to look at these books is to look at what is happening ‘before’, ‘during’ and ‘after’ - to explore the heavy stillness of the air in the heat before of fire or the endless days of rain before the waters being to rise in flood. This beautiful book - probably best for middle primary and upper primary - takes us through a story of a bushfire which rages into the mountain home of the narrator and destroys her family house. It looks at the race to escape the fire and the fight to rebuild life afterwards - including looking at the emotional impacts of the fire. The author includes a powerful author’s note about her own experiences with the Black Saturday bushfires, where she lost her home and her parents. This may or may not be something you wish to share with your students (depending on their age), but for older students it might be interesting to explore the author’s focus on regrowth after a fire. This is an interesting aspect of extreme weather which can sometimes be forgotten as journalists and other story tellers begin to move away from natural disasters in search of the next story. A House on the Mountain would also allow for an excellent timeline activity, tracing the events of the story - and how the narrator feels - through from before the fire to the rebuilding after the fire. This Christmas book is also an excellent look at drought for younger readers. 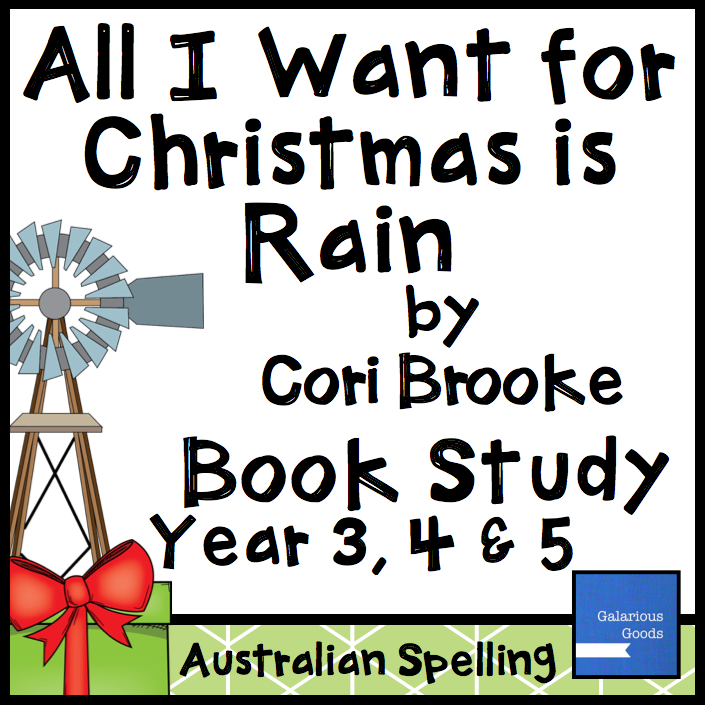 Jane lives on a farm and wants rain for Christmas to break the drought. Jane believes that Santa is the perfect solution to the drought. This book highlights the difficulties of drought, the impact of a lack of rain on the environment and the people who work in it. 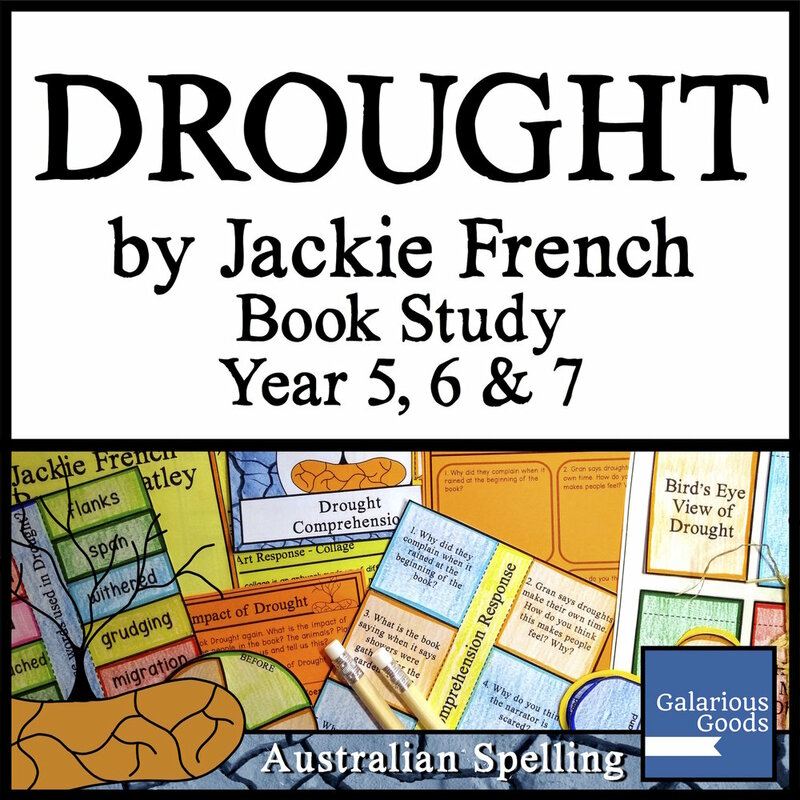 It’s a particularly good introduction to drought for younger students. There are a number of different activities which you can do with this book, including looking at what happens when there is a drought. Students can list some of the things which Jane highlights as issues, combining it with some videos of drought to enhance their understanding of drought. This is a really gentle look at the impacts of drought - comparing a visit from a friend from one summer to another. As you progress through the book there are little mentions of how things are different, how things are harder. This is a great book to use for looking at inference. There’s many places where the narrator just gives a little bit of the story, without fully telling the reader about the worry and concern they are experiencing. Even hearing that his friend will travel for seven hours gives the reader a little clue about the difference - the divide - between their life and the life of his friend. The comparisons between one year and another is another things which students can use when talking about weather in the classroom. What is it like before a weather event? What is it like after a weather event? This could apply to floods and cyclones as well as drought. Big rain is coming . . . but when? This lovely book, best suited for younger students, explores the anticipation of waiting for rain when it’s really, really hot. My favourite part is when the clouds gather, but it still doesn’t rain. This is a great book for working on prediction, with its easy, repeating structure. Students can also use it as an example of what it’s like to wait for something - whether it’s rain or something else in their lives. Big Rain Coming is also good for exploring what happens before it rains - whether it’s clouds gathering, a wind picking up, or even the sound of rain moving towards you. The beautiful illustrations also offer room for exploration, especially looking at how colour and lines are used to create a beautiful world. Students might like to compare this with some of Bronwyn Bancroft’s other illustration work as well. The children of Mrs White and the Red Desert are working hard to clean their house so they can entertain their teacher. They want to show her why their homework is grubby, but as she arrives a red dust storm also comes along, giving them the perfect demonstration. As well as the dust storm at the centre of this book, there’s some lovely other exploration of weather. We hear about hot desert winds and the pitter-patter of rain. We see that the weather is a daily part of life, that is races around (and through) the house and soothes the children to sleep. And that it has an impact on the lives of the children when they are away from home. This is another great book for inference - we don’t see what happens at school before the teacher comes to visit, but we can infer it. We infer how the dust storm destroys the dinner. We also see what the impacts of a dust storm can be. Students can explore pictures of dust storms - both in the cities and away from the cities and discuss what the impacts of dust storms are during and after the storm. They may also like to explore the weather conditions which make dust storms more or less likely. This is another book about a dust storm, but in this storm two children are caught in the middle of it, without warning, with a camel to protect them. Mustara is a historical fiction, giving a few glimpses into a different world of explorers and the use of camels in exploring inland Australia. The historical fiction aspect of the book gives students another area to explore - what other weather events impacted people in the past? What other stories do we know of big weather events? Students might like to compare accounts of weather from the past with more recent accounts of weather and talk about how people deal with weather the same or differently. He’s an alpaca! 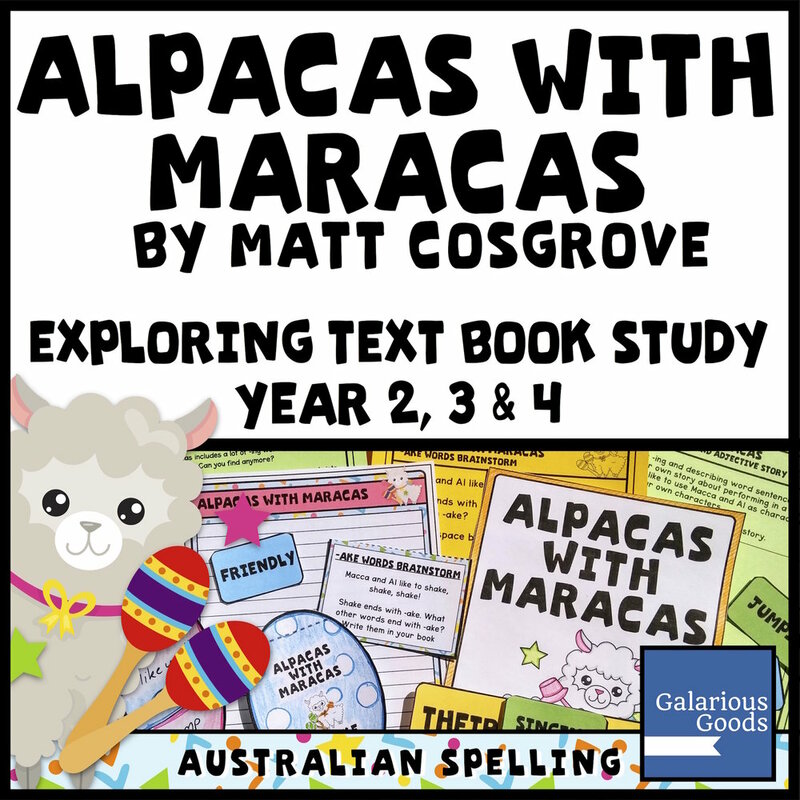 And the star of the great Macca the Alpaca picture book series by Matt Cosgrove. These books - four at the moment, including a Christmas book - have jumped into popularity (and many homes and classrooms) since the first was released in 2017. We love Macca - and we think he’s great for the classroom. And here’s a few reasons why . . . While picture book illustrations are often important to get the most out of a story, in the Macca books they’re super important. Often the word we need to finish the excellent rhyming structure is there, in the illustrations, not to mention the important image clues which help readers decode and comprehend what is happening on the page. You can use this while exploring why illustrations are so important to tell the full story in a picture book. Students can explore matching text and illustrations to make sure they have the best combination or explore how the story might change if an illustration was changed. Students can also explore the style of illustration, looking at how lines are used to show movement and how different fonts are used in the text. Again, they can question what would happen if it was different - without the lines and the different fonts, would the story feel the same to the reader? There’s this lovely slightly frantic and slightly absurd humour in the Macca books, whether it comes through the joy of how Macca will outsmart the bully llama or the inevitability of the Christmas crackers creating chaos and creative present gifting. In the classroom, it would be interesting to look at why the books are funny - is it seeing alpacas doing things that alpacas don’t usually do (or do they?) or does the humour come as the author builds anticipation for what is going to come next. Students can also explore writing their own Macca stories. What would happen if Macca went travelling? What would happen if Macca opened a store? What would happen if he had to take those nephews and niece to school . . . .? We have our fair share of selfish (but lovable) characters in picture books (looking at you Pig the Pug and Mothball the Wombat! ), but Macca is just nice. He wants to defeat the bully, but does it with brains and kindness. He wants to win the competition, but is happy just to dance with the winners. He really, really wants to give his friends the best Christmas ever. Looking at Macca’s qualities is a great classroom activities - and a great way to compare the different Macca books. You can create a comparison table for the class to fill in as they read the different books, or different groups could read each book and describe all of Macca’s great qualities to share with the rest of the class. Students can also explore what lessons we can learn from Macca. What does he do that makes him a good role model? And how can we apply those lessons in our own life. This is a great way to explore qualities like giving to others, being creative and being persistent. Encourage them to move? But they’re books! Students sit down to read and listen to books! But the Macca books are full of movement - and you can use this in your classroom. Macca uses all kinds of movement to defeat Harmer. He and Al try so many different ways to share a talent before dancing with their maracas. And those naughty little Alpacas move in all the wrong ways. This is perfect if you would like to integrate dance into your literacy lessons. Students can explore different kinds of movements and what they might look like as dance steps. And then they can put those movements together to create their own dance sequences. Students can also integrate this with physical education, designing an obstacle course which Macca and Harmer might compete over - and then setting it up and trying it out themselves! Alpacas are all the rage at the moment - and it’s not hard to see why. The Macca version has lovely big eyes and eyelashes, those great ears, and - thanks to the magic of books - he’s not going to spit at us! We also meet a number of other creatures in the Macca books - either directly (a llama and yaks) or indirectly (Al’s pirhanas or the cuddly sloth). Students can research these animals and compare the real life versions with their book counterparts. They can explore why we really love some animals while other animals remain unloved. And they can use Macca and his friends as characters in other work - what happens when you have an alpaca as part of a maths problem or a sloth as part of a music lesson? Where Do We Find Persuasive Writing? Providing students with high quality background information for Boy Overboard can be a little bit of a challenge. Many resources are older and out of date and many links are sadly broken. 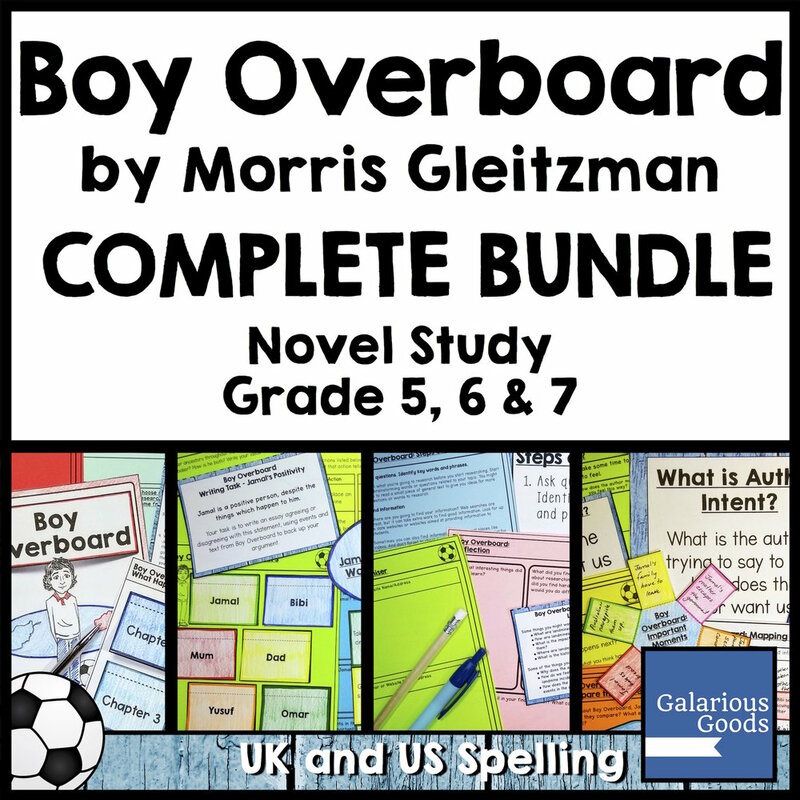 Here, I’ve collected a range of free resources to assist you in providing background information for Boy Overboard and teaching the novel more effectively to your students. 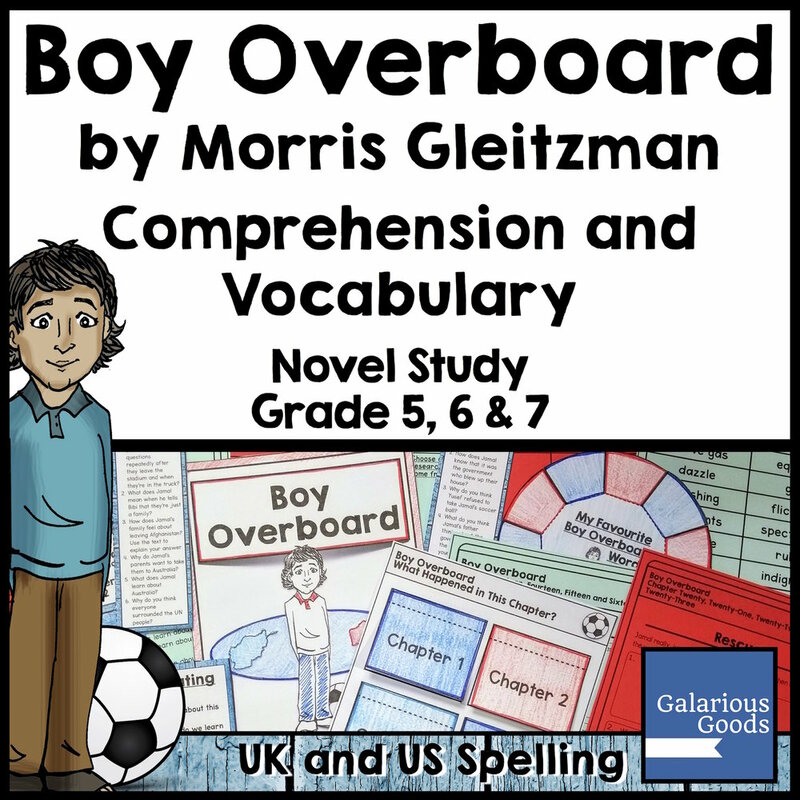 8 Free Resources for Classrooms Reading Boy Overboard - a collection of links and ideas for the Morris Gleitzman novel and some ways to use them in the classroom. A Galarious Goods blog post. To access this resource, you need a login (which is quick and easy to get). This one page primary resource introduces students to a range of concepts, vocabulary terms and ideas around refugees. The page also includes teaching ideas. This would be good to use before students read Boy Overboard or right after. It would also be a useful resource if students were researching refugees. This BTN video provides background information on refugees in a range of situations and provides images for students to put with the story. BTN has broadcast a wide range of stories on refugees over the years and many are available. This story, like many of the others, also includes teacher notes and further links for students to explore. This teaching resource from the UNHCR (The UN Refugee Agency) offers a range of teaching ideas and lesson ideas about refugees. One of the most useful resources is the teacher’s guide to integrating teaching about refugees and asylum into a range of classroom subjects. The Royal Geographical Society page is good for some background information on Afghanistan. Some of the links are broken, but the documents at the bottom provide a timeline and a number of fact sheets with extra information about Afghanistan. These two pages are aimed at an older audience, but provide background information to The Pacific Solution and arguments around it. These would be good for teachers to use when preparing discussions or further reading information for students. This is a thoughtful reflection on why Morris Gleitzman wrote Boy Overboard and would be especially good to read while considering author intention. Students should wait until they have finished reading the book to read this. What would you take with you if you had to leave your house immediately? The ‘what would you take’ project is a fairly common one in schools, allowing students to develop empathy for book characters and real life situations and to create connections. But where can you use it effectively? And how can you extend this project? At the end of Year 8, my local area was impacted by a range of bushfires. Thick smoke filled the air and buses came to take students home so parents could make evacuation decisions. I was surprised by how quick my answer was. “My pointe shoes.” I’d only been dancing on pointe for a year, but we’d bought the shoes during a once in a lifetime trip to the USA and they were dancing and that trip all in one. I didn’t want to lose them. Thankfully, my parents weren’t required to evacuate and the fire was stopped before it hit the town. But it’s a moment I’ve often come back to when reading books where characters have to leave suddenly. In Boy Overboard by Morris Gleitzman, Jamal and his family have an incredibly short time to pack their lives up. They know they need clothes, they know they need things of value to trade, and they need things of value to them like Jamal’s soccer ball. When we read novels and picture books where this occurs, we often ask students to reflect on what they would take if they were starting a new life somewhere else. We might extend that and ask them to fill a shoebox or a backpack with their chosen items, or items which represent what they would take. We ask students to reflect on what is important to them and what that says about our priorities - and what is important to the characters and what that tells us about them. This project can be used when reading books about refugees, but can also be used when we talk about natural disasters or historical events where people have left their home with minimal time or space to take everything they want. The easiest way to extend this project is simply to write about it. Students can write about what they have chosen, and practice description skills by describing them. They can draw the items they have chosen and highlight why they have chosen those items. They can also write a longer piece when they reflect on what they would or wouldn’t bring, why they make those choices and what it says about them and what they are interested in. Students can use their items to create a museum display of what they have chosen. They can combine their items with written labels and information cards to create a display which they can then share with other classes and parents. Students can also take photographs of their chosen items and create a ‘virtual’ display using a slide show program. Students can explore using hyperlinks or in-page links to connect one page to another or create a slideshow which viewers look through. These can also be turned into a printed book which can be added to student portfolios or sent home with the student. As well as creating their own ‘what would I take’ project, students can think about what characters might take with them if they had to leave suddenly. This can easily be applied to novels or picture books with strong characters and students can write, draw or create their own ‘what would you take’ boxes for these characters. By doing this, students think deeper about what characters want and what defines them. The What Would You Take project is a great way for students to consider items which are important to us and others and to reflect on what it would be like to have to choose these quickly and to consider limited space. If undertaken thoughtfully, it’s the perfect accompaniment to many book studies and history topics in the classroom. While we can’t give our favourite characters a large bunch of long stemmed roses and it’s a little hard to bombard our favourite authors with chocolates and declarations of love, we can bring the spirit of Valentine’s Day into our reading classrooms and celebrate all we love about reading and books. Valentine’s Day is a great time to celebrate everything we love about our favourite books and characters. Whether it’s the small celebration of a classroom activity or a complete Valentine’s Book Love Party, sharing affection for favourite books and characters consolidates the classroom as a place where reading is valued. How can your students show this love? They can write letters to their favourite characters or their favourite authors, telling them how much they mean to their lives. You can schedule a lesson full of book talks, where students share what they love about their favourite books and why their classmates should also read them. They can create images of their favourite characters and write about their lovable qualities or create Valentine’s Day cards for their favourite characters or books. Taking it a little further, students can examine the qualities of a popular book or series and discuss why it is so loved. They can analyse why ‘bad guys’ are often loved by readers, or how to make an unlikeable character more likeable. By acknowledging that emotion - falling in love with books and characters - is an important part of a reading life, we allow students to see reading as a lifelong pursuit - something they can have as part of their world long after school has finished. Friendship is a central theme in many books for children and a great comparison topic for Valentine’s Day. Whether it’s the imaginative friendship of Jess and Leslie in Bridge to Terabithia, the frenemy friendship of Erica and Alison in Hating Alison Ashley or the often life-saving friendship of Harry, Ron and Hermione in the Harry Potter series, there’s so much to explore and discuss. What does a good friendship look like in books? Which books show us examples of good friendships? How is the friendship in one book similar to a friendship in another book? What picture books show us friendships? What is our favourite friendship in books? What do books teach us about friendship? How Would Characters Celebrate Valentine’s Day? What kind of Valentine’s Day celebrations would Pig the Pug plan? Does the Green Sheep stop resting to write Valentine’s Day cards? And would Gandalf send Bilbo a Valentine’s Day card? Imagining Valentine’s Day celebrations for book characters allows students to step into the shoes of those characters for a little while. Students can discuss the features of those characters, what they would be likely to say or do, or how they might interact with other characters in an unfamiliar situation. One activity students could engage in is writing Valentine’s Day Cards from one character to another character. This could be from a book you are studying as a class, books your students love or a brand new picture book you introduce to your students on the day. You can use this free Character Valentine’s Day card download in your classroom to help your students step into the shoes of their character. Whether you just engage in a small book based activity or you plan a whole lesson of Valentine’s themed book celebrations, there’s so many ways to celebrate a class love of books on Valentine’s Day!